Motorola is all set to launch new devices at its 1st June event and we are expecting the launch of the Moto G5S, G5S Plus, Moto E4 and the Moto Z2 Play smartphone. 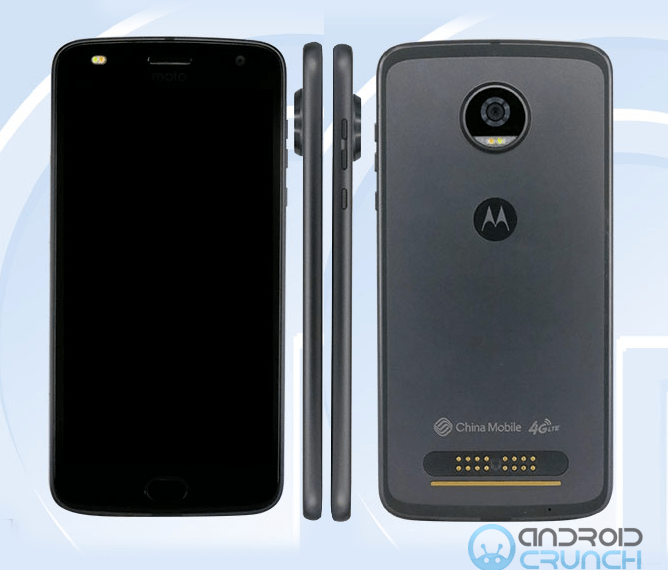 Moto Z2 Play recently got the TENAA approval with the model number XT1710-08 that featured a 2820mAh battery and disappointed a number of Motorola fans to not having a 3000mAh battery for the Z2 Play. Now a new variant of the Moto Z2 Play has just got the TENAA approval in China that confirms a 3000 mAh battery instead of a 2820mAh battery. 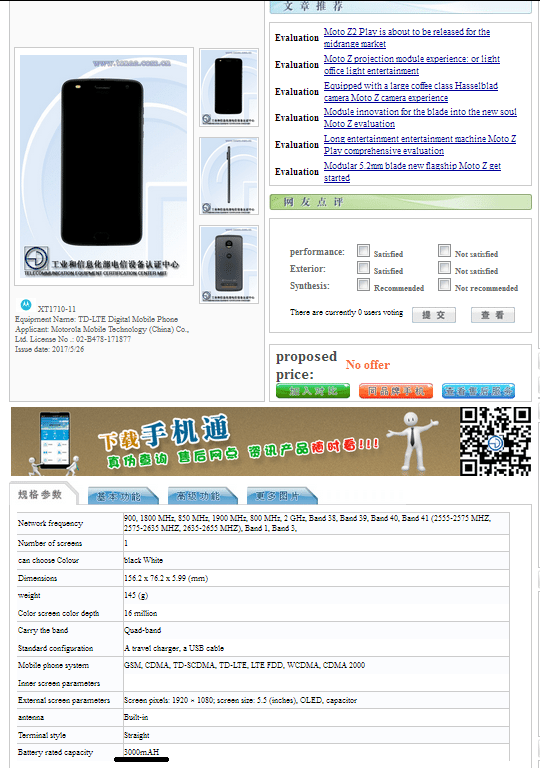 Other specifications looks same with a slightly bigger display from the last TENAA listing. let's checkout the images and specifications of the device in this article. The new Moto Z2 Play listing at TENAA reveals the model number XT1710-11 and this time its listed with a 5.5-inch full-HD OLED display with 1920 × 1080 pixel resolution. Other specifications are same as we saw in its previous TENAA listing apart from the battery. It is powered by a 2.2GHz octa-core processor that might be one of the Snapdragon processor. It comes with 4GB of RAM and has 64GB of inbuilt storage capacity expandable up to 128GB storage with Micro SD card slot. It runs on the the Android 7.1.1 Nougat OS out of the box and might be supporting dual-SIMs. The device will be available exclusively via China mobile carrier in China. It features a 12-megapixel rear dual-tone LED flash camera with 4k video recording and also comes with a 5-megapixel front facing camera. It is backed up by a 3000mAh battery and supports 4G LTE with VoLTE, 3G, GPS, Bluetooth, GPS and other connectivity options. It measures 156.2 x 76.2 x 5.99 mm and weights 145 grams. It comes with Black and White color options. To recall, the Moto Z Play was launched last year with a 5.5-inch full-HD Super AMOLED display with 1920 x 1080 pixels resolution and Corning Gorilla Glass protection, a 2GHz octa-core Snapdragon 625 processor with Adreno 506 GPU, 3GB of RAM, 32GB / 64GB internal storage, expandable storage up to 2TB with microSD card, Android 6.0.1 Marshmallow OS out of the box, single SIM and Dual SIM options, a 16-megapixel rear camera with dual-tone LED flash,, a 5-megapixel front-facing camera, a 3510mAh battery with turbo charging feature, a fingerprint sensor and 4G VoLTE connectivity option.